WDV members, partners and friends gathered last week for a memorable Members' Lunch. 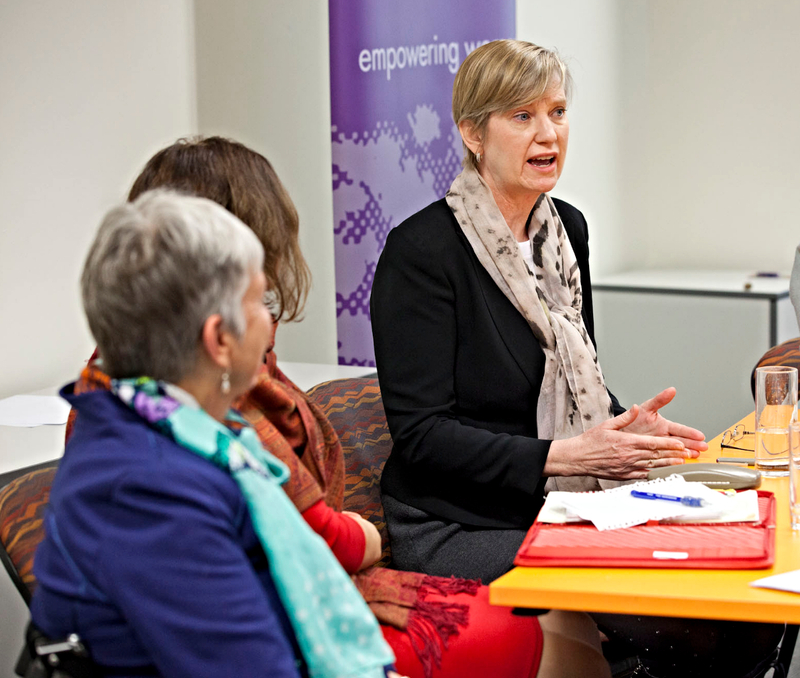 We were joined by Fiona Richardson, the Minister for Women and Minister for the Prevention of Family Violence. To the applause of members present, Minister Richardson announced funding of $400,000 for continuation of our Workforce Development Program on Gender and Disability. At the lunch, Minister Richardson noted the critical importance for Victoria's Royal Commission into Family Violence to address violence against women with disabilities. She also highlighted that government strategies for gender equity must include women with disabilities (such as when increasing representation of women on boards up to 50% this must also include women with disabilities). 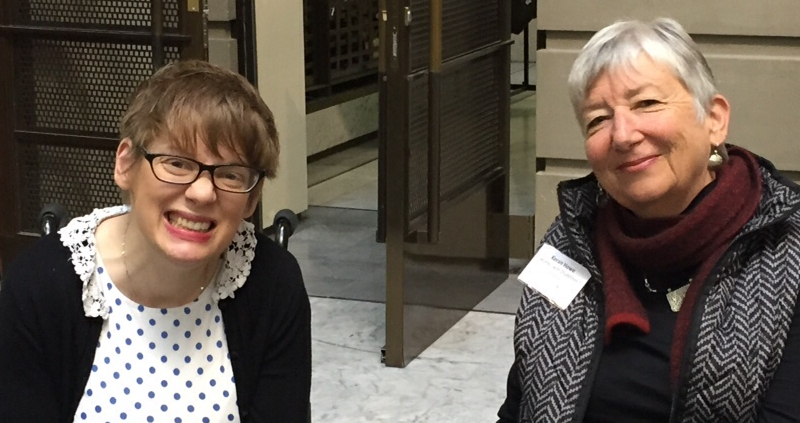 The Gender and Disability Workforce Development Program works with disability services to build their understanding of women's rights and how to provide gender sensitive services. The program has run as a pilot in partnership with Gateways and Yooralla. This funding enables us to build on valuable learnings and expand this unique violence prevention program. A really exciting aspect is that women with disabilities are co-facilitators of the training. Through the program pilot we also enjoyed working with service partners from sectors such as Women's Health, Legal Centres and Centres Against Sexual Assault. WDV look forward to the next phase of the program, continuing these partnerships and building new ones. WDV has developed an NDIS Factsheet for women with disabilities. This information will assist all women to get the maximum benefit from their NDIS package. The fact sheet includes a checklist with the types of questions to ask in order to find high quality, gender sensitive services. What would help to make good choices about the services to use. The fact sheet can be downloaded from our website or is available in hard copy from our office. Brenda Gabe was a much loved and respected member of Women with Disabilities Victoria. Each year we remember Brenda's work making a difference for women with disabilities through awarding the Brenda Gabe Leadership Award. You can nominate a woman with a disability or a group of women with disabilities for this award. Nominations close on the 10th of August. The winner of the Award receives $2000 toward a capacity building project or professional development. 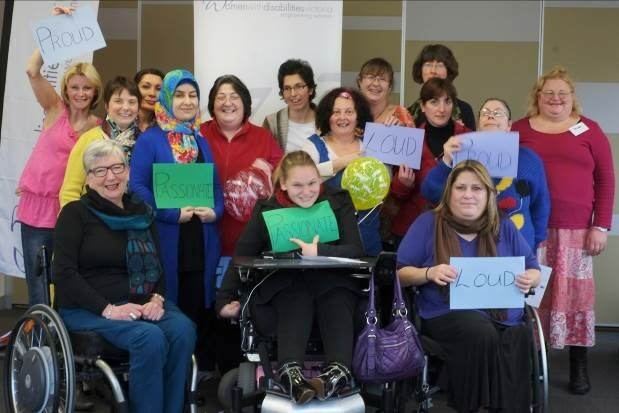 The award is announced at Women with Disabilities Victoria’s Annual General Meeting on the 29th October 2015.
information on previous nominees and winners. WDV is offering a 5 day leadership program to women in Melbourne's North East who wish to step up in their own communities. * Advocacy (speaking up for your rights). The program provides an opportunity for women from diverse backgrounds with disabilities to come together. 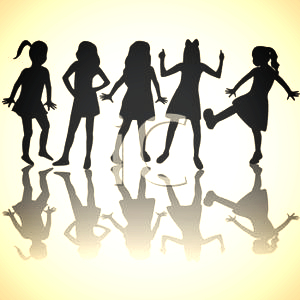 Woman share their stories and find solutions to common problems together. The leadership program is offered in plain English. Transport assistance to the venue is available. Jane Oldfield, Ph. 9286 7807, Email jane.oldfield@wdv.org.au. More information can be found at www.wdv.org.au. WDV is seeking a co-facilitator for the Enabling Women Program in Melbourne's North East (program information above). Further details on our homepage under news and events. Applications close this Friday 24.7.15. With the exception of a few notable women around the world, autism is widely considered to be a disorder that affects men. ABC report on report on why autism can be under diagnosed in women and girls. Anyone with an invisible disability or health condition will tell you how often they've heard the dreaded saying “But you don’t look sick? 'But you don't look sick.com' hosts a collection of articles, reviews, with health resources and a message board. Women's Health East in partnership with Benevolence Australia invite to join a conversation on how Islamophobia is affecting Muslim women, and how Health Services can be more responsive. Hear findings from the Muslim Women’s Health Literacy Project in Melbourne's Inner East followed by presentations from keynote speakers, Saara Sabbagh and Tasneem Chopra. When: Friday 14th August 2015, 2:00pm – 4:30pm in Doncaster. Register by Wednesday 5 August 2015. For information call 9851 3700. A 2 day free workshop to try all this cool media stuff! For beginners and intermediats. Who should attend? Open to anyone with a lived experience of mental illness. Preference given to people who live, volunteer, hang out or use services in the Moonee Valley City Council area People from all suburbs of Melbourne welcome. Kelly Vincent is in the South Australian Parliament for the Dignity for Disability Party. When she was elected in 2010 she made history in 3 ways. Firstly, as the first South Australian politician to permanently use a wheelchair. Secondly, as the youngest woman ever elected to an Australian parliament. Thirdly, as the first Australian to be elected on the platform of disability rights. It was wonderful to see Kelly visit Melbourne for VicHealth's conference, 'Policy, People and Prevention: Ending violence against women in Victoria.' Kelly gave a phenomenal address, sharing research, case studies and personal experience to really show how we need strategies to tackle both sexism and ableism. Kelly has left a short summary of her speech on Instagram, and we hope that the transcript will be available via VicHealth in the future. In her powerful statement to the Family Violence Royal Commission, 'Melissa Brown' shared her experience of family violence as a woman with a disability. The Age reports Melissa explained all the thought that went into considering breaking her relationship with her abusive partner who also provided her with some physical support. She had to ask herself, "How am I going to have a shower without anybody to help me? How am I going to get the kids to school if I'm having a pain day?" Melissa received some services that weren't helpful regarding her disabilities and the family violence she was experiencing. She highlighted the helpful support she received from a Centre Against Sexual Assault, a Victoria Police's Sexual Offenses Team (SOCIT), and from the Victims' Assistance Program. Melissa told the Commission, since the relationship ended her mental health has improved dramatically, Chief Commissioner Marcia Neave thanked Ms Brown for her strength and tenacity in appearing before the commission. 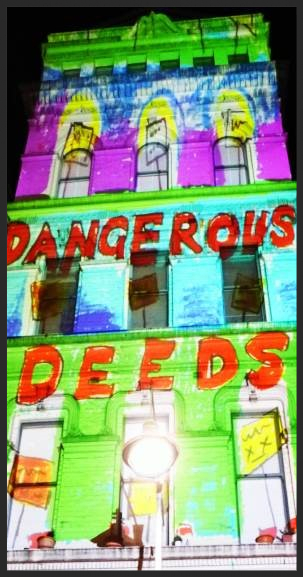 Dangerous Deeds features art developed by people with disabilities which explores their passions and tells the stories of their involvement in the disability, advocacy and self advocacy movements. Dangerous Deeds is a project of DnD, SARU and stART Community Art.